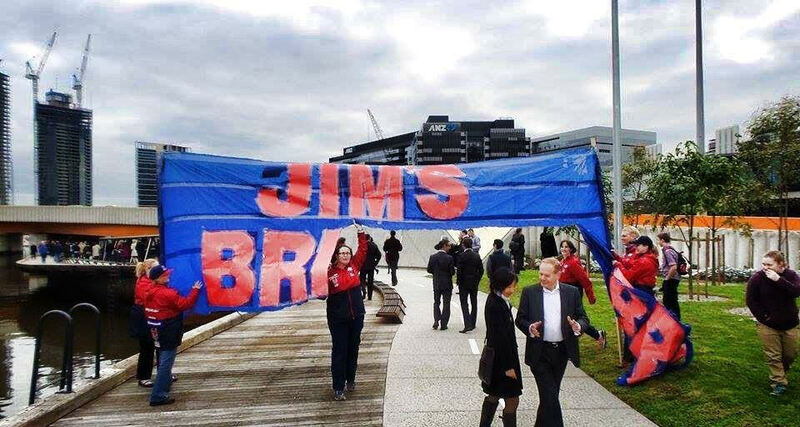 The Jim Stynes Bridge is a pedestrian bridge across the Yarra River. It was opened in June 2014 by the Minister for Planning, Matthew Guy. Also present was Melbourne’s Lord Mayor, Robert Doyle, the Stynes family, some Melbourne Football Club players, members from The Reach Foundation and members of The Demon Army. 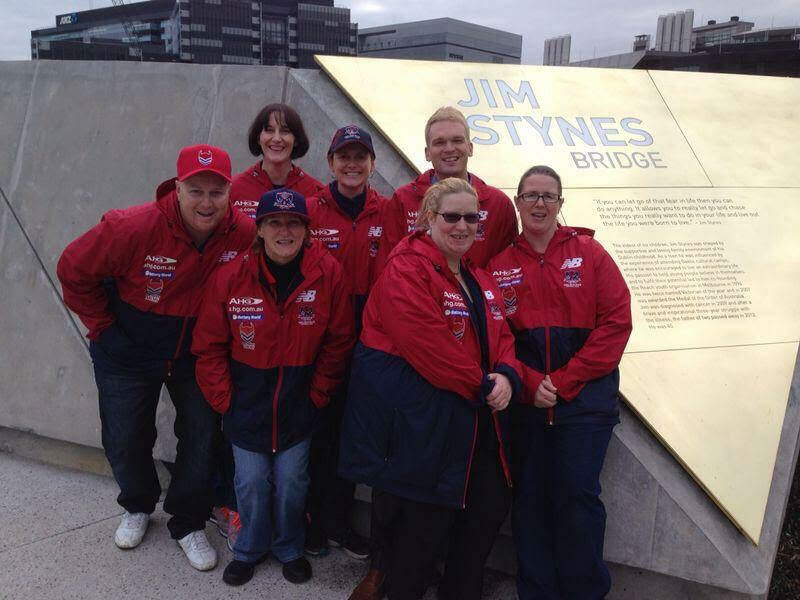 The Demon Army was on hand to raise a run through we’d made, which Tiernan Stynes broke through to open the bridge.